Work Hard, Punch Harder. More Rubble, Less Trouble. 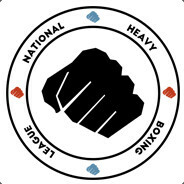 Thank you for visiting the National Heavy Boxing League's Official Steam Group. If you have any questions, please visit our League Information page and be sure to click "INVITE ALL" when inviting friends to the NHBL Steam Group. © 2012-2019 National Heavy Boxing League. All Rights Reserved. Come join in fight night, where prior to fight night itself, the first proper 2v2 euro tournament will take place! The artwork requested by the General. @Ben Click on “Server Information” after clicking “League Information” for our servers.